Need extra space for jewelry and intimates? 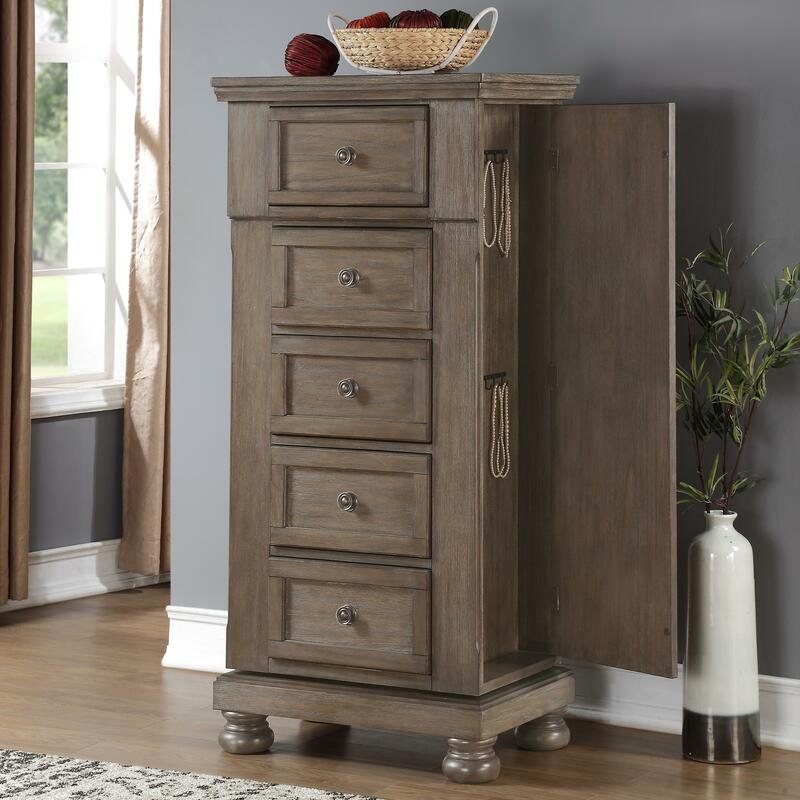 This swivel chest features door and drawer storage perfect for all that! The doors open up to hooks for jewelry while five drawers are ideal for storing intimates and accessories. 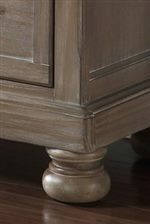 The chest is on a swivel base so you can easily access all the features of this lingerie chest. The Allegra 5 Drawer Lingerie Swivel Chest by New Classic at Michael's Furniture Warehouse in the San Fernando & Los Angeles area. Product availability may vary. Contact us for the most current availability on this product.